All City Auditions this Thursday from 4:30 to 8:30pm at South Salem HS. CT Retreat coming up January 26th and 27th. More information to come! 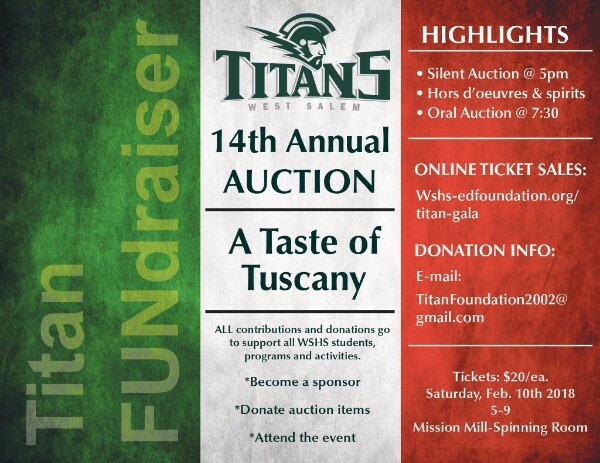 Titan Auction tickets are ready for purchase! Attention Choir of the Titans and Asteria Members! 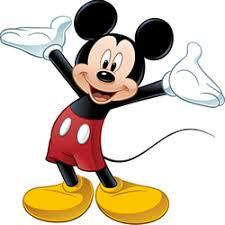 The Disneyland chaperone is a a highly sought after position. Applications will be posted on the website soon. We will keep you apprised of the application process through the weekly newsletter and Facebook postings. The committee tasked with the chaperone selection will be looking for familiarity. We need to know you and we need you to get to know our kids. One way to accomplish this is by volunteering. We will have many opportunities in which you can serve! CT and Asteria Parents - Student accounts should be caught up with the exception of Poinsettia & wreath deposits. The gracious folks heading up the Band Boosters handle this massive fundraiser and we will notify you when we receive those funds. If you find that your student account does not correspond to your records, please contact our Treasurers directly (email addresses listed at the bottom of the newsletter). Thank you to our 2017-18 Choir Sponsors! 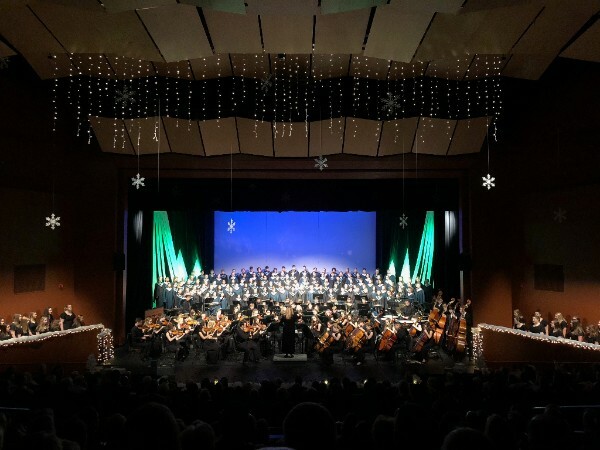 Please visit westsalemchoir.org for more information. Please make checks for fundraisers or trip deposits to WSHS CHOIR. Write your students first and last name and the purpose of the check in the memo line. This ensures the funds are applied to the student accounts properly. Thank you!